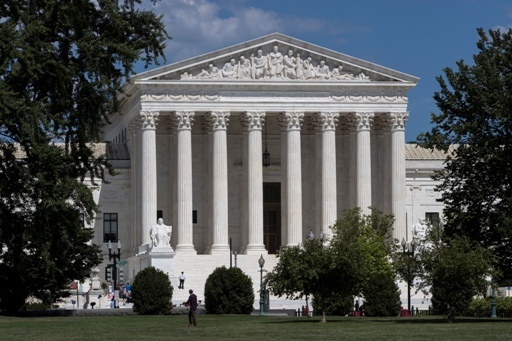 WASHINGTON (CN) – Habeas challenges from two unrelated death-penalty cases seemed to divide the Supreme Court on Monday. One of the challengers, Carlos Manuel Ayestas, has been on death row in Texas for 20 years ago after strangling a 67-year-old woman during an apparent robbery. A Honduran national, Ayestas claimed in a federal habeas petition that his mental health problems and drug addiction should have been presented as mitigating evidence at the penalty phase of his trial. In applying for federal funding to investigate these issues that he said his trial counsel overlooked, Ayestas cited a federal law that requires funding for investigations that are “reasonably necessary for the representation of an indigent defendant” facing the death penalty. Ayestas appealed to the Supreme Court after a federal judge rejected his funding application and the Fifth Circuit affirmed, finding that he could not show a “substantial need” for the investigation, given the record in other areas of the case. The Supreme Court took up the case to resolve whether the Fifth and 11th Circuits properly held Ayestas to the more precise “substantial-need” test, instead of the lesser standards used by most circuits. Lee Kovarsky with the University of Maryland Law School argued for Ayestas on Monday that the substantial-need test puts an unnecessary high bar on poor people seeking habeas relief because it hinges funding on proof that the investigation would be a success. Courts should grant requests if the request is for something a “reasonable attorney” would pursue in a case, Kovarsky argued. Given that Ayestas was diagnosed with schizophrenia, Kovarsky said the absence of arguments about mental health problems and drug addiction during the penalty phase of the trial raises questions about the defense. Kovarsky specifically said the reasonable attorney conjured for the case would be one with finite funds, not someone representing a “Richie Rich” client who could spend wildly. Texas Solicitor General Scott Keller argued Kovarsky’s proposed standard is too lax and that taxpayer money should not fund investigations into claims a defendant would not be able to bring at trial. The Supreme Court justices appeared to split along ideological lines during the hearing, with Justice Samuel Alito presenting the most forceful questions to Kovarsky, while Justice Sonia Sotomayor grilled Keller during the hearing. Alito said the reasonable-attorney standard would provide very little actual guidance because even a reasonable attorney might hunt down the most flimsy lead in a capital case because of the enormously high stakes. But Sotomayor seemed incredulous that the state could get away with executing a defendant whose trial counsel made so many obvious mistakes, such as not getting school records or talking to important witnesses. Sotomayor was similarly harsh on the government during arguments in the second habeas case before the court Monday. The defendant in the case, Marion Wilson, was sentenced to death after asking an off-duty correctional officer for a ride and then shooting him fatally with a sawed-off shotgun. Wilson’s habeas challenge stems from revelations that one of his attorneys tried his case after accepting a job as special assistant attorney general, while the other was disbarred after being convicted of child molestation. In affirming dismissal of the federal petition, the 11th Circuit opted not to review the lower state court decision, but rather looked into what “reasonable basis” the Georgia Supreme Court might have had to rule against Wilson. Tallahassee attorney Mark Olive argued Monday that the interpretation of state habeas proceedings evinced by the 11th Circuit flies directly counter to the Supreme Courts holding in Ylst v. Nunnemaker. A 1991 case, Ylst holds that federal courts should “look through” summary orders to more explained decisions in lower courts. But Georgia Solicitor General Sarah Hawkins Warren argued a new federal law and the court’s more recent decision in Harrington v. Richter mean state courts do not just adopt all of the reasoning of the court below them when giving a short summary affirmance. “Justice Sotomayor, I think we have to look at what they say when they say something,” Warren said. Sotomayor was highly skeptical of this reasoning, wondering if making state rulings so limited would give less importance to state habeas proceedings. She questioned whether the state could come into federal court with a totally new argument that was not presented at the state level if the most recent state court only gave a summary affirmance.